A landmark new study on the effects of spaceflight on the human body has found that fears about the potential health risks to astronauts may be overblown. Nasa scientists teamed up with medical experts to examine recently retired astronauts Scott and Mark Kelly, who are identical twin brothers. Scott was part of a Nasa team who worked on board the International Space Station (ISS) in 2015, spending a total of 342 days in space, while Mark remained on Earth. Researchers “followed the duo before, during and after the flight, tracking the twins’ biology to see how the brothers changed”, reports Space.com. The so-called Twin Study represents “an integrated portrait of molecular, physiological, and behavioral adaptations and challenges for the human body during extended spaceflight”, the scientists say in their report, published this week in the journal Science. 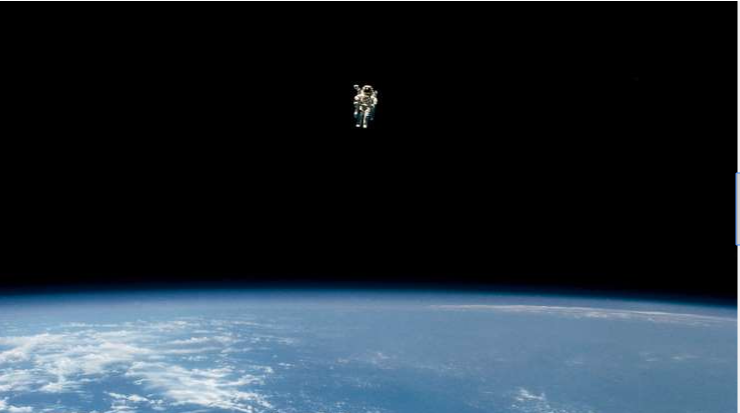 Although the team found that living in a zero-gravity environment has an undeniable impact across the human body, the long-term outlook for astronauts was both “surprising and reassuring”, says ScienceDaily. st a year on the ISS put Scott’s body “under incredible stress”, with fluids swelling his upper body and head, and his immune system going into overdrive, reports Space.com. He also experienced “thickening of the carotid artery and retina, weight loss, shifts in gut microbes, reductions in cognitive abilities, DNA damage, changes in gene expression, and a lengthening of the ends of chromosomes called telomeres”, adds Irish broadcaster RTE. Yet despite this, experts say the study has revealed the “resilience” of the human body, with most of the adverse effects suffered by the astronaut proving temporary. “If you look at the changes we’re seeing in Scott, the vast majority of them came back to baseline in a relatively short period of time when he came back to Earth,” said Steven Platts, deputy chief scientist for Nasa’s Human Research Programme. The chief scientist for the project, Jennifer Fogarty, said that Twins Study had proved that a “number of physiological and cellular changes take place during spaceflight”, but crucially “demonstrated how a human body adapts and remains robust and resilient even after spending nearly a year aboard the ISS”. Experts say the findings may be vital in predicting the effects of an extended manned mission to the Moon or Mars. According to the Smithsonian magazine, an exploratory Mars mission could take two or three years, while most space expeditions so far have lasted six months or less. J.D. Polk, the US space agency’s chief health officer, said the study had “helped inform the need for personalised medicine and its role in keeping astronauts healthy during deep space exploration, as Nasa goes forward to the Moon and journeys onward to Mars”. But The Atlantic argues that the findings “cannot be extrapolated to the wider astronaut population, let alone the general population”, owing to the small sample size. The magazine also notes that the space station is within Earth’s gravitational sphere of influence, which means the findings many not be “useful for predicting what might happen to humans if they venture beyond the orbit of the ISS”.